Cat Or A Crow? This Optical Illusion Is The Perfect Halloween Brainteaser! 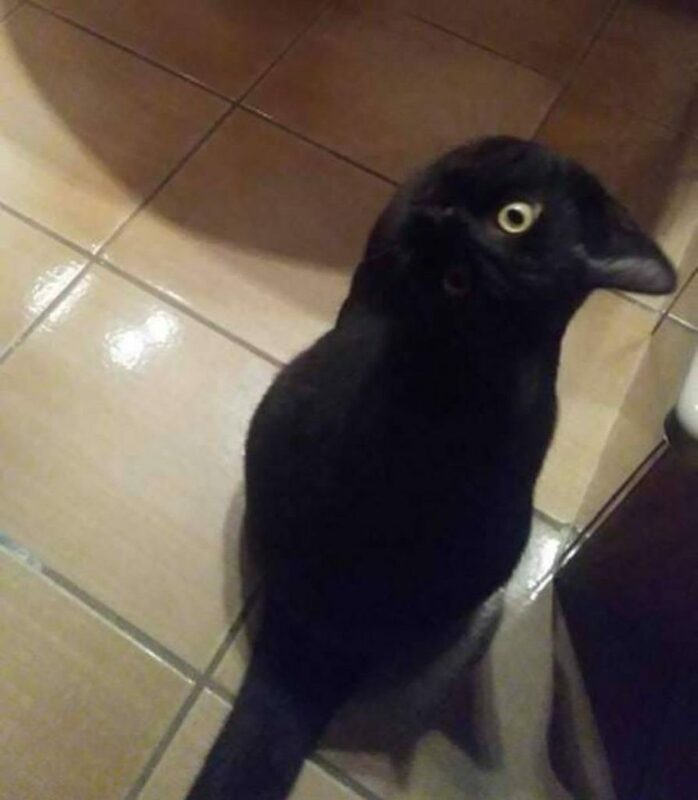 Cat Or A Crow? This Spooky Optical Illusion Is The Perfect Halloween Brainteaser! Be it a blue dress that appears black to many or Kendall Jenner’s missing leg, the internet just cannot resist a good optical illusion. And if you are one who is fascinated by these confusing images, we have some good news for you. In a picture that has gone viral just before Halloween, we can see a black spooky creature looking at the camera. And trust me, at the first glance, it seems to be a crow trying to pull off a selfie. However, if you dig deep into the photo and take a patient look, you realize that it is not a black crow but something entirely different. Can you guess what is it? Well, it is a black cat. Yes, the cat has been pictured from the back and it has almost rotated its head 360 degrees, giving us a brain teaser! Edgar Allan Poe approves it. Had to open it to actually see. Beautiful! This one will take a bit of time to sink in. Happy Halloween in advance!